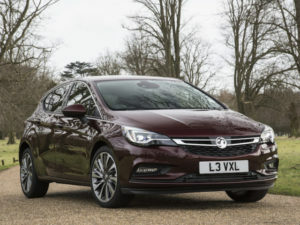 Vauxhall has introduced two new engines for the Astra that sit in line with the latest Euro 6d requirements. Available to order now, the new engines cover a 197bhp 1.6-litre turbo petrol and a 134bhp 1.6-litre CDTi. The petrol is available to order now in both Hatch and Sports Tourer bodystyles and comes with either a six-speed manual or automatic transmission. It brings official combined fuel economy of 43.5mpg and CO2 emissions of 151g/km, and has a top speed of 146mph and a 0-60mph time of 7.3 seconds. Prices start from £24,435 OTR. The diesel is available to order now in Hatch with the Sports Tourer body style available soon after. It also comes with either a manual or automatic transmission and brings official combined fuel economy from 64.2mpg and CO2 emissions from 116g/km. It comes with Selective Catalytic Reduction (SCR) technology with AdBlue. Prices start from £20,595 OTR.